With CircoTherm technology the hot air is focused directly into the food being cooked, wrapping the shelves to ensure the surfaces of baked and roasted items seal quickly. 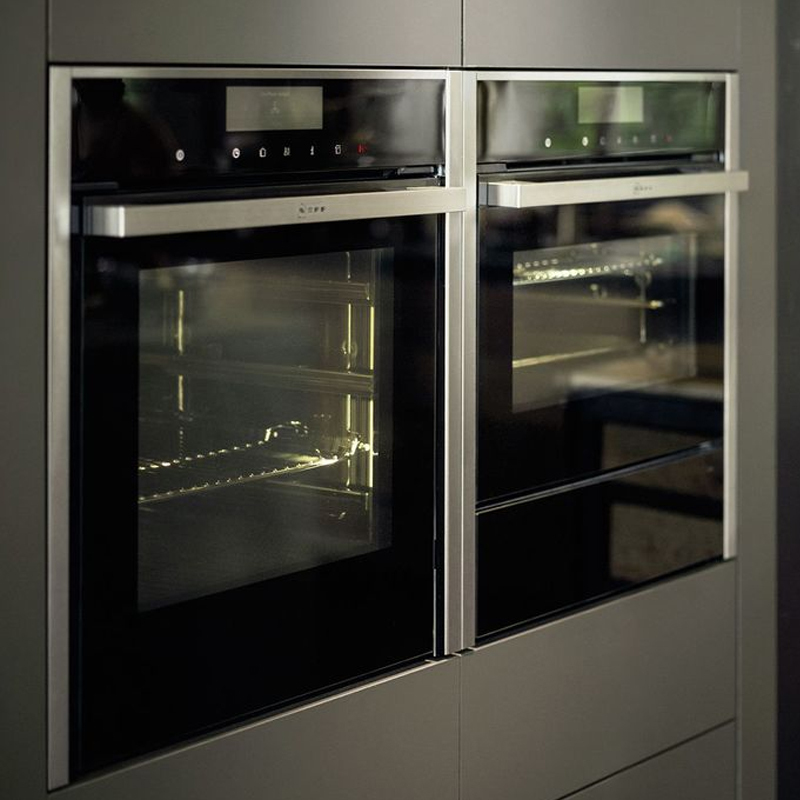 This keeps moisture in and prevents flavour transfer, so you can cook an entire three-course meal using all levels of the oven at the same time with no flavours intermingling. How will CircoTherm® help you in the kitchen? • Cook a whole menu in one oven: Cook a three course meal in one go with multi-level cooking and, better still, have no flavour transfer across dishes. 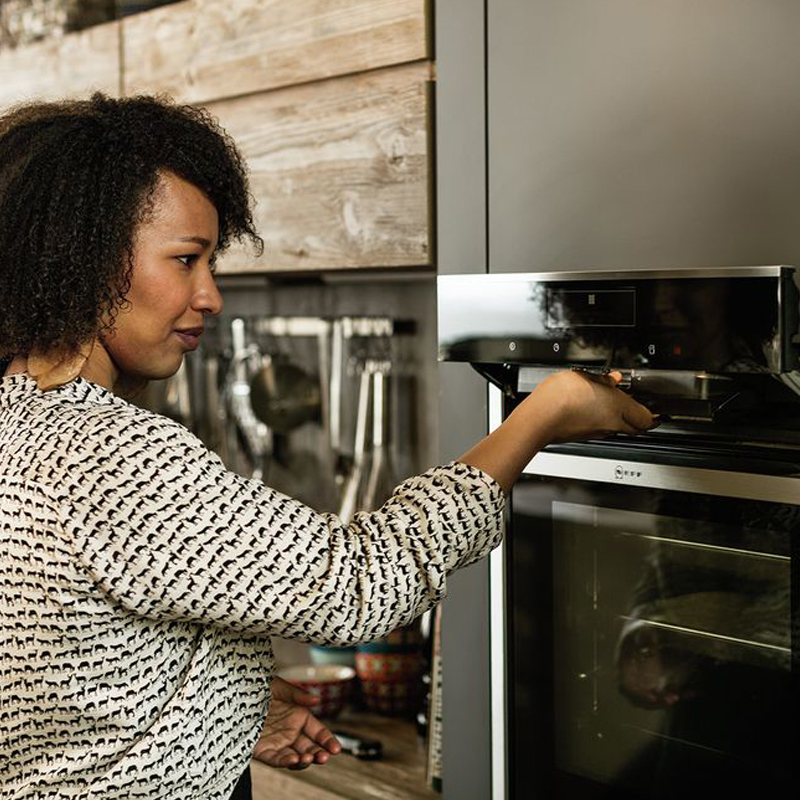 • No need to pre-heat the oven: Powered by CircoTherm®, the PowerBoost function speeds things up – just put the food in and start the oven. Simple! • No more soggy bases: CircoTherm® Intensive uses a combination of CircoTherm® and bottom heat, ideal for foods that need a crispy underside like pizzas, or speciality breads. It can also be used for one stage pastry such as lemon meringue pie, eliminating the need for blind baking. All CircoTherm® ovens in the NEFF range are made in Germany and come with a four year warranty. View all NEFF ovens with CircoTherm technology here or book a free demonstration.